The Monday Blog: It’s a Giveaway!!! UPDATE: This giveaway is now closed. I'll hopefully be doing more giveaways soon! Wow! I have been BLOWN AWAY by the number of hits and new followers over the past few days. In honor of flying by the 200 followers mark (or at least flying by in my world), I thought it would be fun to do a giveaway! And what better thing to give away than a piece of what spurred on this growth—my Anthro-inspired ensemble. Would you like to win the Garden Accoutrement inspired bag? It’s easy, all you have to do is be (or become) a follower, and tell me so in a comment! Then, Tuesday, February 8, random number generator will select a winner! Good luck and thanks for following. I really do appreciate it! Oh I LOVE this purse! I follow you!!!! I am a follower! I love your blog and adore this purse! Omg!I really loved this bag from the first sight!I found your blog 2 days ago and i became a follower!I also like the shirt makeover and your scarf!Perfect combination! Been reading your blog for a little while, and now Im a follower! And by the way, the sweatshirt jacket is SUPER adorable!!! I'm a follower! I just love this bag (it looks like it's even big enough to hold a few diapers while looking adorable...a big plus for me!) and I'm dying to try to create the sweatshirt jacket. You did an amazing job on this ensemble! You are a genius! I wish I had an ounce of your creativity. Keep crafting, it makes the world a better place. This purse is amazing!!! I'm a follower! What a cute bag and I love how you remade that sweatshirt!! Thanks for the chance. Love your blog AND that adorable bag!!! :) So glad that I follow you! I was planning on making a similar bag myself, but winning this one would be awesome! Thanks Jill and congratulations on doing so well! Congratulations on all the new followers! Great bag! Love it...you have done an awesome job. I'm a follower now, too. I am a follower!! You are so creative and did such an awesome job on the outfit!! I'm a follower! I just found your blog a few days ago and LOVE it!!! 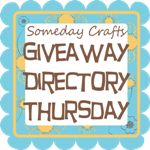 I am already a follower, but I am super excited about your giveaway! :) I was secretly hoping to win one of your bags at women's retreat...so this is my second chance! :) Congrats on two hundred followers! :) Thats awesome! I am a follower LOVE your stuff!!! I Love your creations and am now following you! love the bag! i'm following. I'm a follower! And really, should've started following forever ago cause I've been reading your blog for a while! You are so crafty! How do you find the time?! :) Love that bag too!! I'm a follower! You are so talented and I can't wait to try out some of your projects! If I don't win the bag, I am going to have to make it! It's sooo cute! I'm a follower!!! I love giveaways!! Adorable bag! I am a follower! I am a follower & would love to win this bag. It is beautiful! I follow your regular blog (you contacted me when you thought Jace was going to be born with a cleft lip) and now I am following this blog. Love your ideas! Can't wait to see more!!! I am a follower! This is a beautiful bag! I love your bag and would love to win! I'm a follower! I follow your blog. Love the bag! i'm a follower!! the bag is SO cute! I'm following! Way cute bag! I've been stalking you for awhile, but now! A great reason to become a follower (on bloglovin'). Thanks for the awesome giveaway! I am a follower. And that bag is to die for cute. Good luck to me! And to everyone else, but mostly to me! I'm a follower, love this bag! Oh! How so very talented you are Jill! Just love love love your creations! what a gift God has given you and you are using His gift to His glory! Bless You. OMG!!!!! I LOVE THE BAG! I LOVE THE BAG! I LOVE THE BAG! I love the bag! I am a new follower! You have cute stuff! hope im not too late for the giveaway....love the blog....i am now a follower! I am a follower...I hope I am not too late because that is a cute bag!